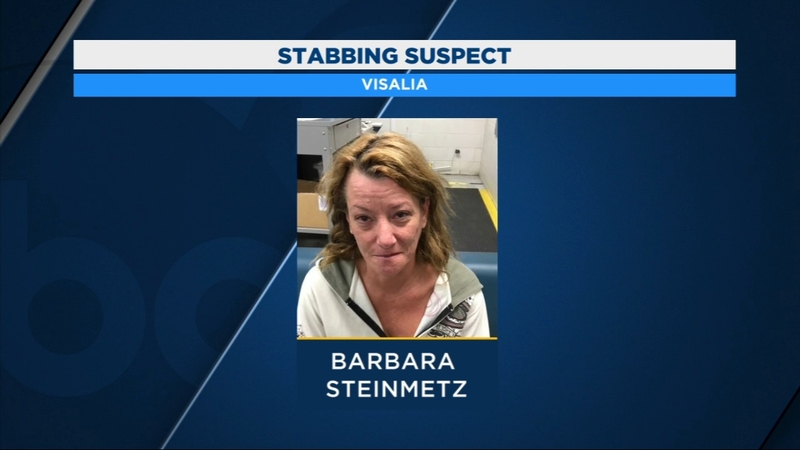 A woman is in custody for stabbing a man in a Visalia home. VISALIA, Calif. (KFSN) -- A woman is in custody for stabbing a man in a Visalia home. Officers arrived to the house in the area of Paradise Avenue and Court Street just after three Monday morning. Investigators said 42-year-old Barbara Steinmetz had been arguing with her roommate when she grabbed a kitchen knife and stabbed him once in the arm. The victim was treated for a cut on his right arm. Steinmetz was arrested for assault with a deadly weapon.